Drinking this wine I am reminded of a foot race I used to run in the middle of February across a frozen Chequamegon Bay in northern Wisconsin. As the sun would slip down past the horizon, the winter chill took over bringing the temperatures to hover around zero or below. No matter how many times one is exposed to the steely frigidness of the Northlands, it will always take the breath away the next time it settles in and finds the cracks between the layers that have put on. The race was of course at night and the scene was reminiscent of thousands of Nordic warriors lining up for a battle in full armor, battle cries and all. Pyres ten feet high marked each kilometer, and for the locals they sparked courage for only they seemed confident that the licking flames would not settle down through the packed snow and ice that separated the brave souls from an icy grave at the bottom of the bay. 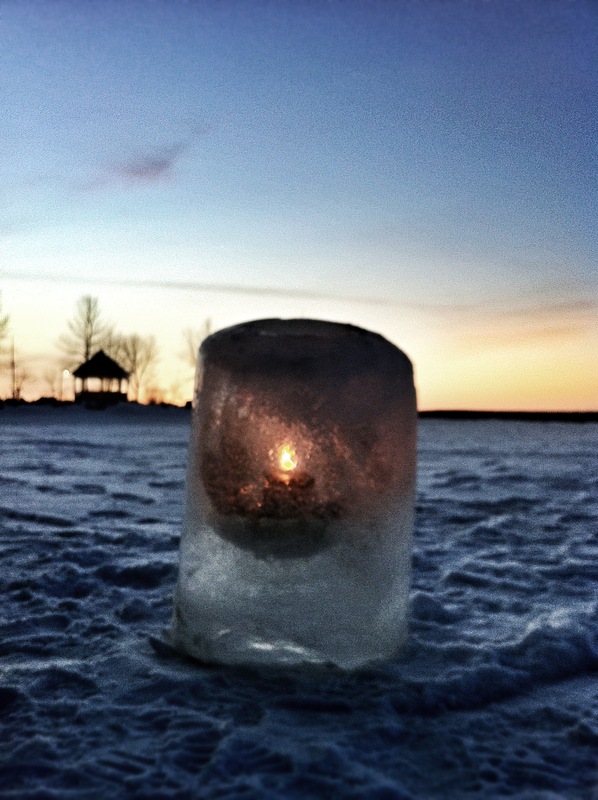 The course was also marked with ice lanterns, beautifully flickering through the night off their imperfect walls adorned with ice crystals. Upon initial glance one may be fooled into thinking this was a rite of passage into some Viking society and only the strong would survive, but the festiveness of it all was enough evidence to convince one that people actually do this for fun. The wind was enough to make one grind their teeth until the enamel was burnt away leaving a crisp, yet slightly acrid taste in the mouth. Each footstep was uncertain in its placement on treacherous terrain, but the dedicated pressed on with hope of a brightly lit finish line in the distance. In the end one expected fireworks, but they never went off at the right time and the feeling of landing the final step would quickly diminish as it was realized that the building climax to this journey turned out to be rather anti-climactic. The reward was merely accomplishing the feat and never having to do it again. …That is to say that this wine should be served almost intolerably chilled and enjoyed for its simple, raw pleasures while being quickly consumed. It would certainly best be had in the high heat of a steamy summer day in order to take the edge off.